New York, London, Paris, Munich – everybody talk about pop music! Pop is the distillate of every generation’s virtues & vices, pleasures & sorrows, styles & topics. It has a substantial influence on what makes young people tick. And pop is not just limited to music: it’s about the books and magazines we read, the styles we wear, the movies we watch, the gear we buy, the political, social and cultural stances we have. Pop stars are the original influencers – and music journalism is the reliable gatekeeper of opinion and quality, serving a navigational purpose that cannot be replaced by algorithm. 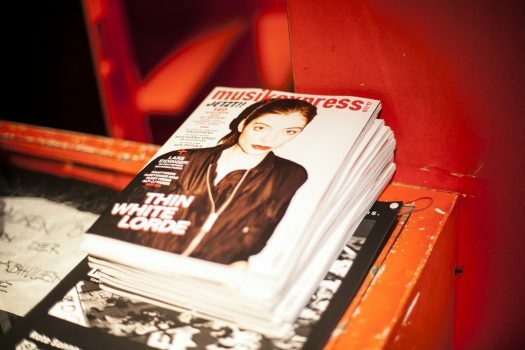 MUSIKEXPRESS, founded in 1968, is the original opinion leader for everything that fits within the brackets of “pop culture” – and today, these brackets are open more widely than ever before. Our editors filter the daily and monthly thicket of releases & news with interviews, features, reviews. Our recommendations for artists, releases, tours, movies & series, gadgets, fashion items etc. are defining “what’s on”. And we are personally closer to the makers and creators of pop than any blogger will ever be. Our readers are well educated early adopters with a high affinity to digital lifestyles – but rooted in the love for the written word. A precisely definable audience that’s particularly select in their tastes, and best reached by media as acuminated as MUSIKEXPRESS.